On July 25, 1946, two African American couples and an unborn baby were shot more than 60 times and lynched near the Moore’s Ford Bridge, in Walton and Oconee counties between Monroe and Watkinsville, GA. Roger and his wife Dorothy Dorsey Malcom, who was seven months pregnant, along with George and his wife May Murray Dorsey were massacred by a mob of white men who accosted them as they headed home. There were approximately 200 people in the lynch mob who watched this egregious act. 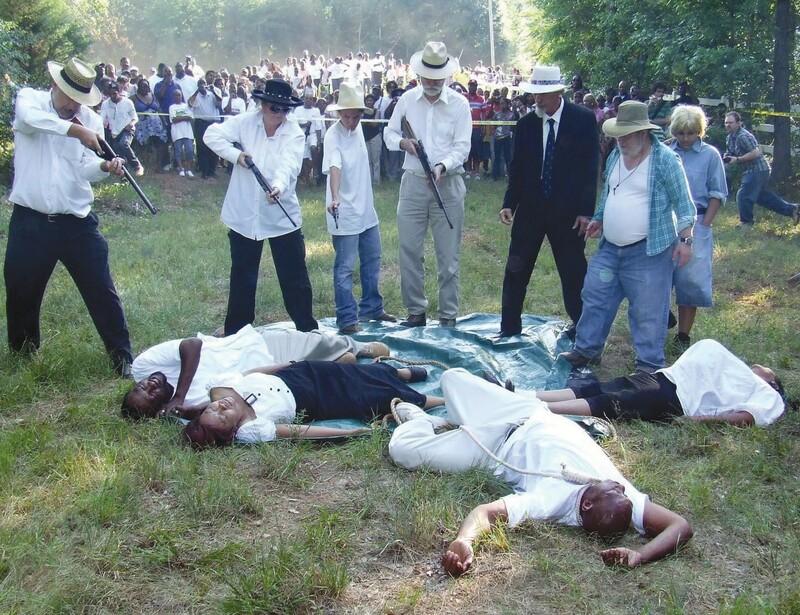 On July 26, 2014, the Georgia Association of Black Elected Officials (GABEO) will lead its 10th annual protest of this injustice with a reenactment of the human slaughter that occurred on July 25, 1946 at the Moore’s Ford Bridge. Volunteers from the community will perform the reenactment. The commemoration activities begin at 10:00 a.m. at the First African Baptist Church, 130 Tyler Street, Monroe, GA, 30655, on Highway 11 (across from Churches Chicken). Further activities of the day include visiting the gravesites, the old county jail, and the Moore’s Ford Bridge at 4:00 p.m. for the Reenactment Ceremony. The public is invited. Tyrone Brooks, president of GABEO and a member of the Georgia State House of Representatives, has been the catalyst that places the stoplight on the Moore’s Ford crimes each year. “In spite of many obstacles, turn-a rounds, and setbacks, we cannot stop this journey for justice, respect, and the enforcement of the law,” said Brooks. For GABEO and Moore’s Ford source information, visit www. ga-gabeo.org/moores.html. For more source information, visit crime.about/ od/unsolved/a/moores_ ford. htm For directions to the reenactment, contact the office of Representative Brooks at 404-656-6372.